That’s Ciara Renée as Kendra Saunders and Falk Hentschel as her soulmate Carter Hall in the first official image of the two characters. With powers derived from the ancient Egyptian hawk god, Horus, Kendra and Carter are destined to reincarnate through time as winged, helmeted warriors. 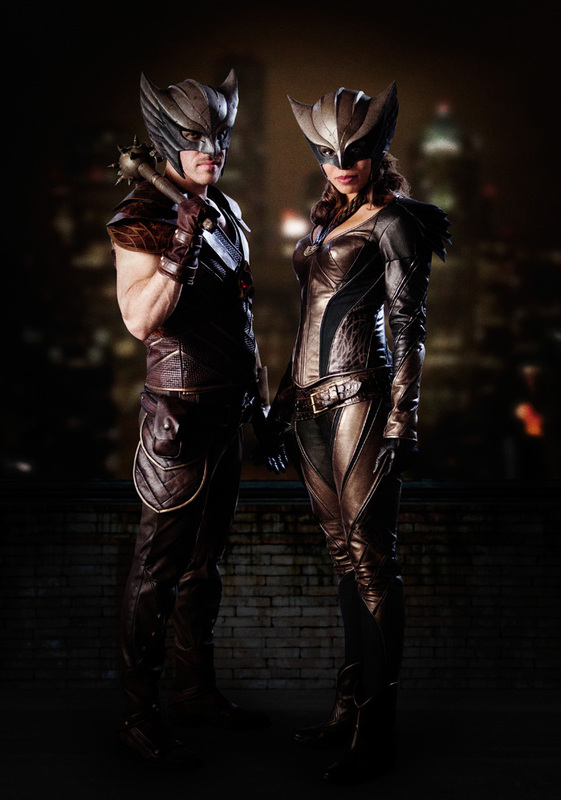 On DC’s Legends of Tomorrow, Hawkgirl and Hawkman will fight alongside the Atom, Firestorm, White Canary, Captain Cold and Heat Wave against the immortal Vandal Savage. Look for them to initially debut in this season’s Arrow and The Flash crossover episode before moving on to DC’s Legends of Tomorrow. So what do you think? Are you ready for some mace-wielding mayhem? Sound off in the comments below!